NEVADA AND PLACER COUNTIES ARE home to a growing, healthy and vibrant base of local farms, rivaling the Central Valley, Sonoma and San Luis Obispo. From fruits and vegetables (Riverhill Farm and Machado Orchards, for example) to grass-fed beef (Nevada County Free Range Beef and Sinclair Family Farm) — from olive oil, jams and honey (Miller Honey Farms) to fresh-cut flowers (Sweet Roots Farm) — the region offers a complete local harvest. “Placer County is one of the most diverse agricultural areas in California,” with over 100 farms, says Carol Arnold, chief executive of PlacerGROWN. “The importance our community places on local food is growing stronger,” adds Debbie Gibbs, president of Nevada County Grown. 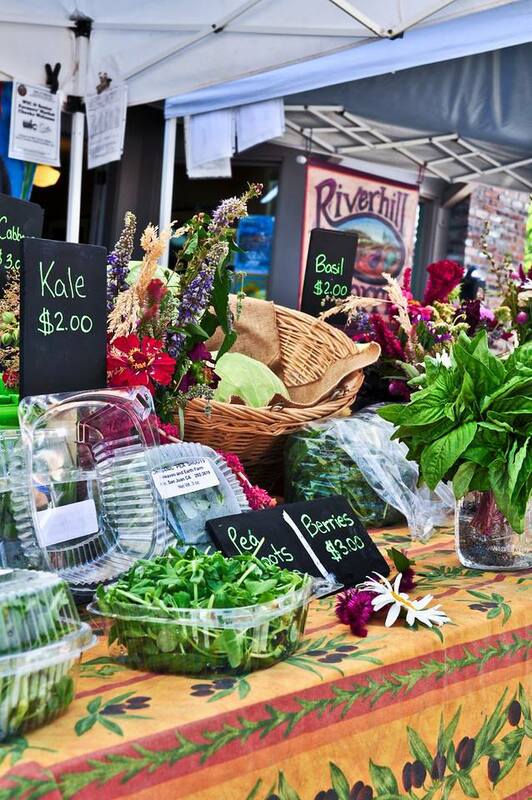 The BriarPatch Food Co-op in Grass Valley is a showcase for fresh, local products. It carries more than 700 local and regional products from more than 100 suppliers. It also has an excellent deli, with foods cooked from scratch, as well as informative cooking classes. Besides a diverse local bounty, our region offers unique products, such as the Placer-grown Mountain Mandarin, celebrated at the Mountain Mandarin Festival and Orchard Days. Mandarin marinades, fruit spreads and dressings are sold year-round (Newcastle Produce and Snow’s Citrus). The region also offers year-round farmers markets (the Foothill Farmers Market in Auburn and Nevada City Farmers Market), and seasonal ones that last into Thanksgiving (the Nevada County Growers Market). The region’s expertise in farm-to-table cuisine is documented in two cookbooks — Placer County Real Food Cookbook and The Art of Real Food — by Foothill Farmers Market founder Joanne Neft and Chef Laura Kenny. Many restaurants are specializing in fresh, local cuisine. They include New Moon Cafe, Ike’s Quarter Cafe and Three Forks Bakery & Brewing Co. in Nevada City; Carpe Vino in Auburn; and Summer Thyme’s Deli & Bakery and Diego’s restaurant in Grass Valley. Caterers specializing in fresh, local fare include Emily’s Catering & Cakes in Grass Valley. Customers can sample over 70 different flavors of the freshest extra virgin olive oils and balsamic vinegars from around the world. The store also carries loose-leaf teas, gourmet foods, maple syrups, spices and sea salts. The chocolate bars are handcrafted in Nevada City using cocoa beans selected from six different countries. Their bars are 70 percent dark chocolate, considered the “sweet spot” for enjoying the different cocoa origins. Full-service cheese shop carries cow, sheep and goat’s milk cheeses, both domestic and imported. Specializes in small artisan cheese makers. Owner Barbara Jenness is an award-winning, master cheesemaker, who also teaches cheese-making classes. Owner Mary Dedrick has a selection of more than 200 cheeses, salami, and specialty foods from around the world. She is a cheese expert and judge at prestigious cheese-making competitions. Dedrick’s main store is in Placerville, and it has satellite stores at Pour House in Truckee, Obexer’s Market in Homewood and other locations, along with farmers markets. A wide assortment of coffee from around the world, including organic, fair-trade, decaf and more. We enjoy Caroline’s coffee each morning. The store also sells teas, hot and cold drinks, sandwiches and salads. Besides gorgeous spring bouquets and other flowers, Foothill Flowers features wines from Dave the Wine Merchant. Dave features an eclectic collection of fine wines from around the world.